(i) Bangalore, Karnataka based B&B Triplewall Containers Limited was incorporated in 2011. 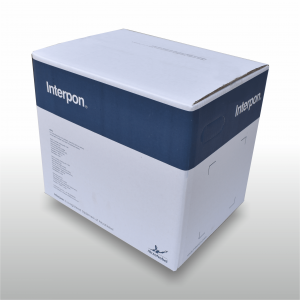 The Company is engaged in the manufacturing of Corrugated boxes and Corrugated sheets. The Company registered office situated at Bangalore and manufacturing facilities situated at Bangalore and Tamil Nadu. (ii)The manufacturing facility is divided into 2 units, both the units are engaged in the manufacturing of corrugated sheets and boxes. They mainly cater to the packaging industry and have been able to develop a loyal clientele network consisting of various packaging companies and MNC’s. Currently, They are operating in domestic markets with their products being supplied on a PAN India basis. (iii) They are one of the major Corrugated Box manufacturers in Karnataka with their manufacturing facility having an installed capacity of 75,000 Mt. Tonnes their manufacturing facilities are divided into two units. The unit I is located at Bangalore, Karnataka and Unit III is situated at Krishnagiri, Tamil Nadu. Whereas, Unit II was given on Lease. (iv) The Company commenced its business operations in the year 2011 in Unit I. As part of their expansion plan, Cost savings, pooling of human talents, strengthening of financial position and to enhance the shareholder’s value the Company Subsequently, business operations were commenced in the year 2015 in Unit III. their manufacturing facilities are well equipped with required facilities including machinery, conveyor belt, other handling equipment to facilitate a smooth manufacturing process. They endeavor to maintain safety in their premises by adhering to key safety norms. They ensure timely delivery of our products and to ensures easy logistics. 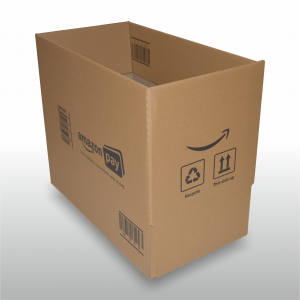 (v) The product Corrugated Boxes is used by various industries like FMCG, E-commerce etc for packaging purpose. The Products type varies to requirement & demands of customer-to-customer basis. The Company is well equipped with an in-house testing laboratory to test the products. Their finished product has to undergo a strict quality check to ensure that they are of relevant quality as per the standards set. The Company in-house testing laboratory regulates and monitors the quality, strength, stiffness ad GSM measurement of boxes to ensure that the same can safely carry products for their end users. Promoters of B&B Triplewall Containers Limited Company are: Manish Kumar Gupta Alok Agarwal Ravi Agarwal Manish Bothra Amit Agarwal Sidharth Agarwal & Nishant Bothra. The pricing based on Adj. P/E looks aggressively priced as compared to Worth Peripheral. The asking Adj. P/E of BB Triplewall Containers is close to 24 as compared to 16 in case of worth. Overall we can say BB Triplewall Containers has weak Balance Sheet as compared to Worth Peripheral. So if anybody looking to invest in this sector, as on date they can go with Worth Peripheral without any doubt. If later on, BB Triplewall improve its Balance Sheet then it can be a good candidate for investment as it has excellent list of clientele. Conclusion: Ideally the Current Ratio and Quick ratio should be more than 1.5 and 1 respectively. In both the ratios Worth Peripheral has the advantage as compared to BB Triplewall Containers. Current Ratio & quick ratio of B&B Triplewall Containers Limited is good then Worth Peripherals……The ideal current Ratio is 2:1…… B&B Triplewall Containers Limited has current Ratio 2.59:1…. The heading was interchanged. I have made the correction now. Thanks for your comment. Worth Peripheral is shown as Peer in the DRHP. Let us see how Worth Peripheral Fairs up with BB Triplewall. Though based on Vanilla P/E the Valuation looks equally priced to that of Worth Peripheral. However, going by the Adjusted P/E ( Includes Debt as well), then Pricing looks aggressive. The company has an excellent list of clients but debt on Balance sheet makes it weak as compared to worth. i) Total Revenue has shown growth from ₹ 3,162.48 Lakh to ₹ 16,697.19 Lakh, representing a CAGR of 39.48%. ii) EBITDA has shown growth from ₹ 344.42 Lakh to ₹ 1,826.14 Lakh, representing a CAGR of 39.60%. iii) Profit after tax has shown growth from ₹ 67.23 Lakh to a profit of ₹ 457.01 Lakh representing a CAGR of 46.71%. They are the only company in India to have an installed capacity of 5000tonnes/month, within a single facility, and a combined installed capacity of 7000 tonnes/month from both our facilities. With a combined built-up area of 2,60,000 sq.ft. they take pride in their quality and infrastructure.